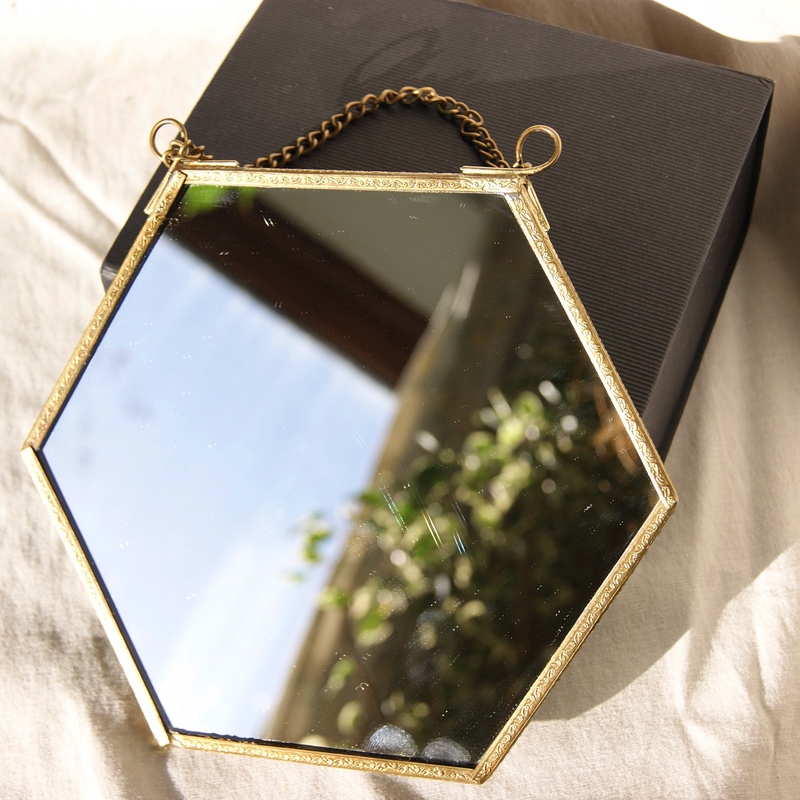 Hexagonal mirror, made fair trade by artisans in India. A beautiful addition to the home. Mirrors are a great way to add light to a room. The small size of the mirror makes it perfect as a face mirror. Perfect in bedrooms, bathrooms and lounges. Hexagonal mirror, made fair trade by artisans in India. A beautiful addition to the home. Mirrors are a great way to add light to a room. The small size of the mirror makes it perfect as a face mirror. Perfect in bedrooms, bathrooms and lounges. 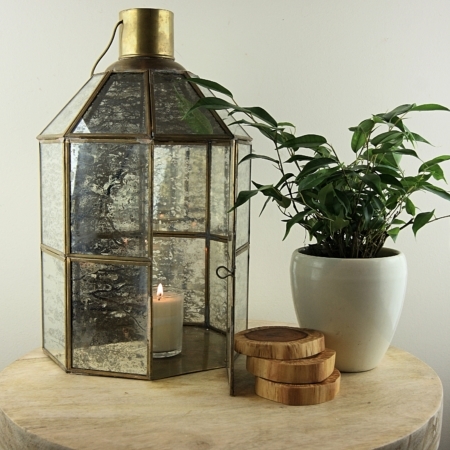 The antique brass coloured surround is slightly patterned, adding a little texture to the piece. Hangs on a chain, on a wall. Arrives wrapped in ethically sourced tissue. Great for your own home or as a gift. 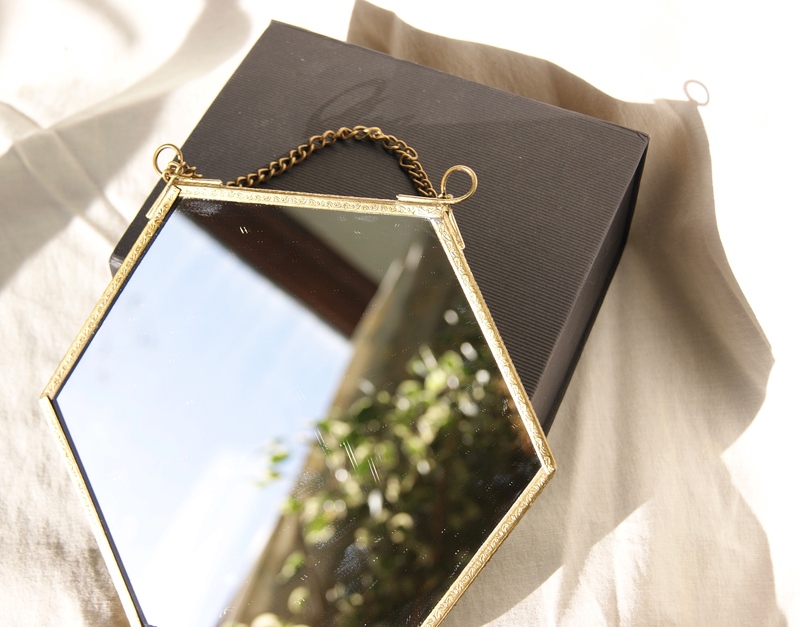 Size: Approximate- Mirror 16cm x 18cm. Chain 9cm. Total hanging length 25cm. Provenance: Made fair trade in India.